On the 3rd of July “Vardavar” international festival took place in Garni and Geghard. Coca-Cola Hellenic Bottling Company Armenia supported the festival distributing drinks to the guests of the public celebration. The festival is an annual educational, youth and cultural event, organized for the third year in a row by the Federation of Youth Clubs of Armenia. Vardavar, the day of Christ’s Transfiguration, is one of the five cardinal feasts of the Armenian Apostolic Church, the history of which comes from pagan times. At the time, the fest traditionally associated with water, love, beauty, fertility and Astghik – the goddess of beauty. On the day people offered her roses, flew doves into the sky and sprinkled water on each other. The tradition of pouring water has been preserved till our days. 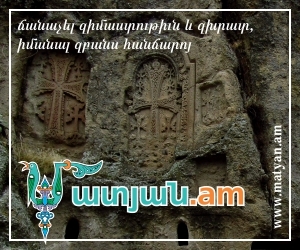 As during previous years, the festival kicked off in Garni with an opening of regional pavilions, where each region presented its specificities of celebrating Vardavar. The pavilions were organized under umbrellas provided by Coca-Cola Hellenic Armenia. In addition, the Company supported the festival with Coca-Cola drinks and Bonaqua water, distributing these to the numerous guests and participants of the event. Coca-Cola Hellenic Bottling Company Armenia puts a lot of importance in the social and cultural life of the community, frequently supporting similar public events both in Yerevan and the regions. This year the festival was held under the motto of “National traditional games”. During the celebration young moderators and participants presented national games which were popular among their ancestors. During the festival a national dance flash mob was carried out with waving a 120-meter long flag of Armenia, singing the national anthem and distributing roses to the participants. “Vardavar” festival aims at representing the historical-cultural values ​​of Armenia and its culture in general, emphasizing the traditions, national songs and dances, the celebration ceremony and the history of the fest.